One of the first steps in preventing a disease is knowing more about it. While scientists and researchers devote their lives to learning more about conditions like cancer or heart disease, the average U.S. citizen may not know much about a leading cause of death in this country – stroke. 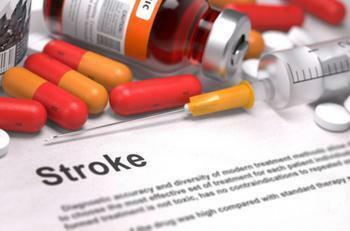 A report released by the Centers for Disease Control and Prevention last year shows that 130,000 U.S. consumers die from stroke each year, or about one out of every 20 deaths. Unfortunately, not knowing more about this fatal condition can make it even more dangerous. In a recent study, over half of all patients who had suffered a stroke failed to recognize symptoms as they developed. Researchers believe that educating the general public about strokes may help improve overall health outcomes. The American Heart Association and American Stroke Association define stroke as a disease that affects arteries that carry blood and oxygen to the brain. When these arteries burst, rupture, or become blocked, the brain doesn’t get the resources it needs. This can result in brain cell death, as well as a range of short- and long-term issues, such as paralysis, vision problems, behavioral changes, memory loss, and speech problems. According to the National Institute of Neurological Disorders and Stroke (NINDS), there are several risk factors associated with stroke. While consumers cannot control some of them – such as age, race, or family history – others can be managed. These include factors like blood pressure, cigarette smoking, heart disease, diabetes, cholesterol imbalance, and obesity. But how do you know when you are experiencing a stroke? It’s a problem that many people struggle with. One recent study found that 58.7% of patients in a trial group did not think they were having a stroke when it happened to them. Consumers can remember some of these symptoms by remembering the acronym FAST, which stands for Face, Arm, Speech, and Time. However, researchers from the aforementioned study say that many patients in their trial group displayed eye-related symptoms. They suggest that a small modification could help patients identify a greater range of stroke symptoms. “FASTER – Face, Arm, Speech, Time, Eyes, React – may be a better acronym,” said Professor Ashok Handa, senior author of the study. The full study has been published in the British Journal of Surgery.